Who says that traditional and modern can’t mix? 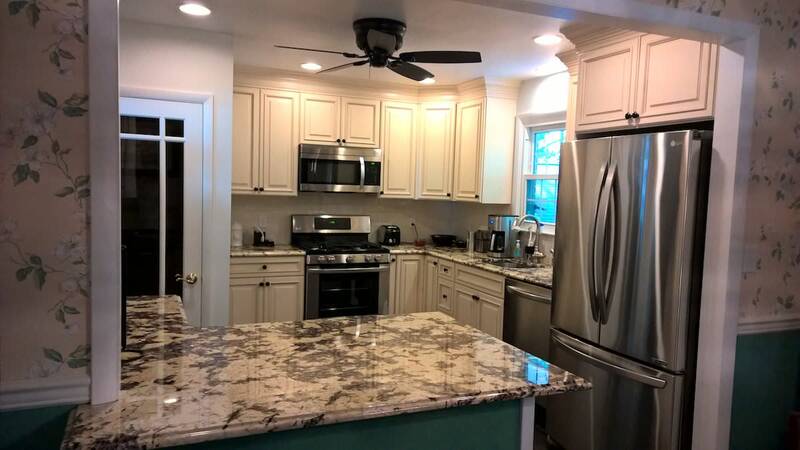 This North Wilmington kitchen is the perfect blend of a traditional kitchen layout with several modern accents and amenities. 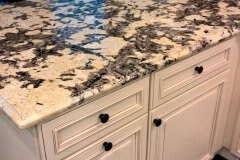 All it took was an expert touch from the professionals at Holcomb Cabinetry to fully transform the space. The first things to go was the wall separating the kitchen from the dining room, creating an open floor plan that was much easier to work with. 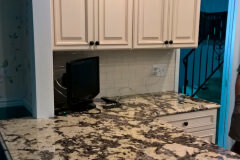 Not only did this create a much smoother flow in the house, but it allowed for more storage space to be added to the kitchen: Since the wall was opened up, we were able to add cabinets to the opposite wall. 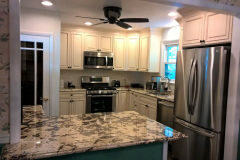 Next, we removed the brown cabinets and replaced them with beautiful off-white ones. 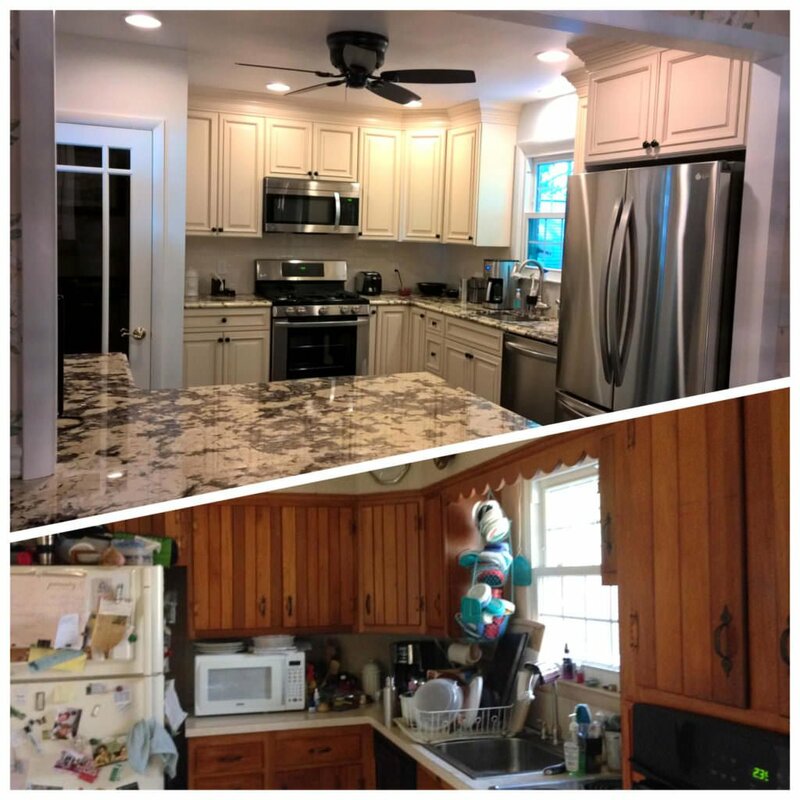 The old cabinets were much smaller than these new ones, which extended up to the ceiling, creating even more storage space. 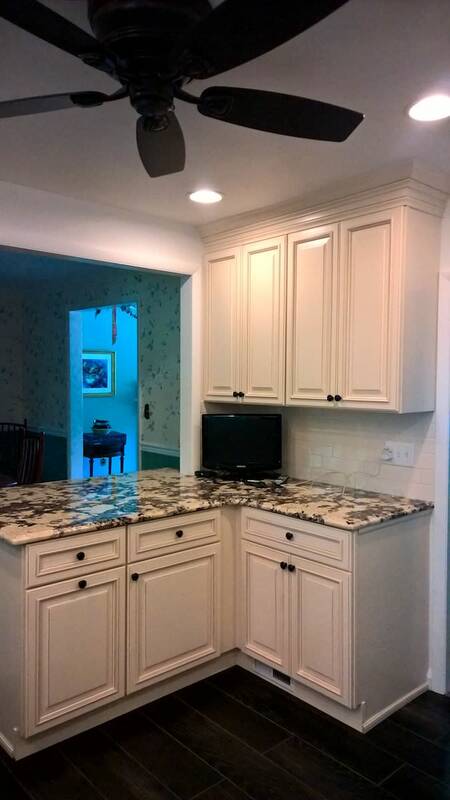 The addition of a two-part crown molding created a truly custom look that you won’t find in any other kitchen. 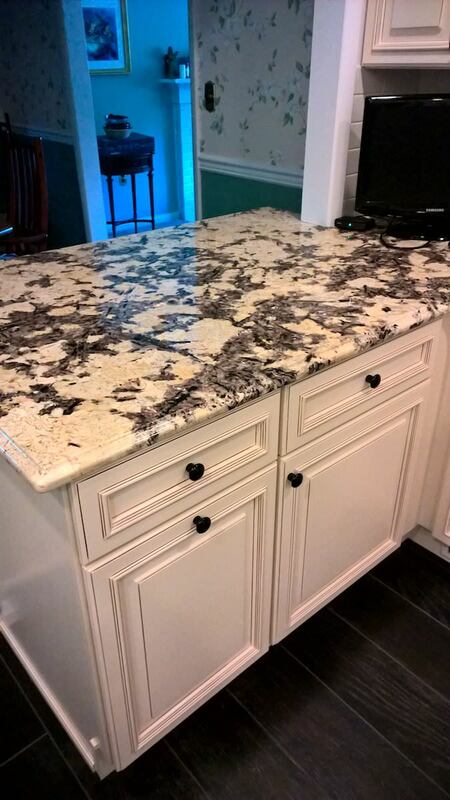 One of our favorite parts of this Wilmington kitchen remodel is the granite countertop. 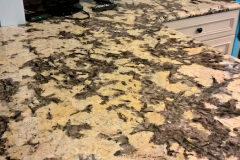 The natural quartz deposits are quite huge – a very rare thing to find. 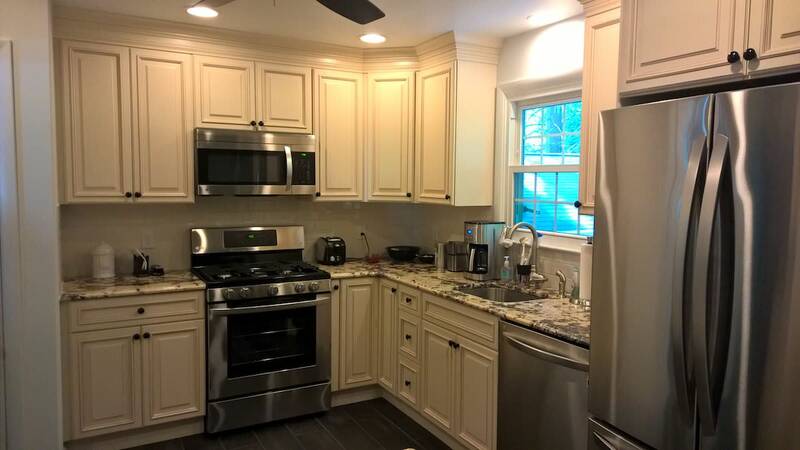 It creates a gorgeous visual throughout the kitchen, pulling the cream cabinets, white walls, and stainless steel appliances together seamlessly. 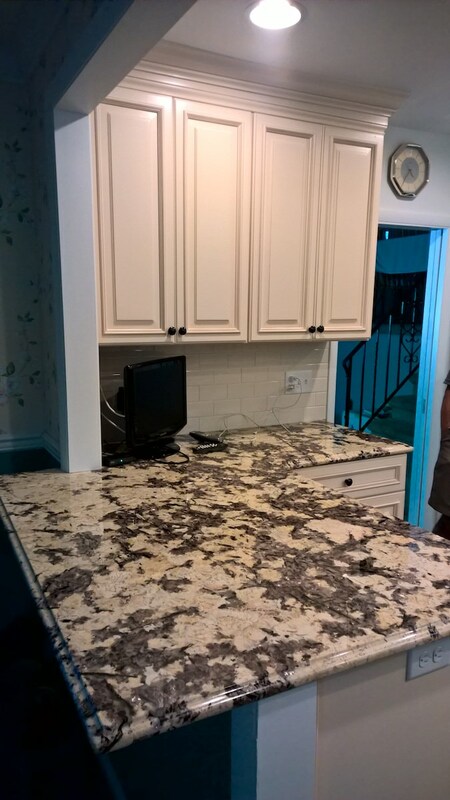 An ogee edge on the countertop matched the doorstyle, and an overhang into the dining room creates extra seating and countertop space. 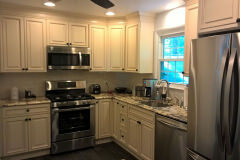 Finally, a “microwave hood” was installed over the stove, freeing up even more countertop space. 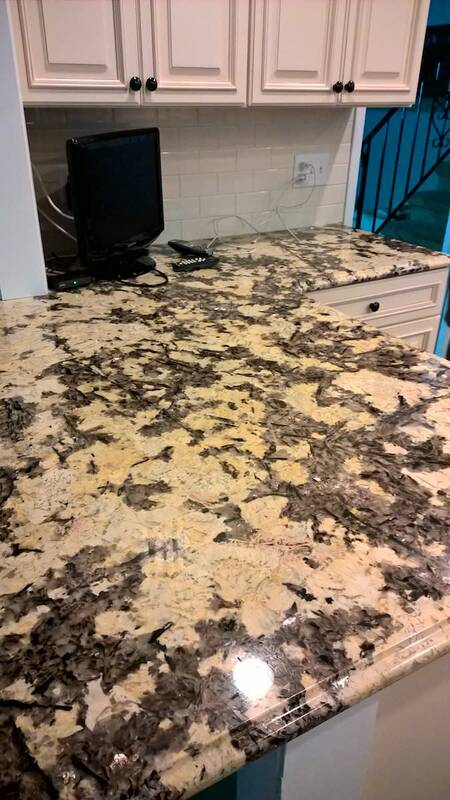 The homeowners wanted as little of this gorgeous countertop covered as possible, and we couldn’t blame them! 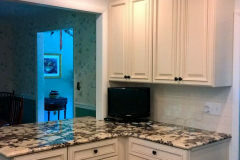 Contact Holcomb Cabinetry today to start planning your kitchen remodel project.